EAS is pleased to be invited speakers at two upcoming Food Drug Law Institute (FDLI) Events. Andrea Yablunosky will speak at an in-house event held at FDA CFSAN on Food Labeling: Nutrient Content, Health, and Other Claims on August 7th. Bruce Silverglade will speak on the same subject as part of the Intro to Food Law conference which will be held in Washington, D.C. September 24-25, 2018. For more information on the Intro to Food Law event, click here. EAS Independent Consultants, Andrea Yablunosky and Kathy Knutson are invited speakers at the upcoming Food Safety Consortium. Yablunosky will speak on food recalls, discussing the USDA/FSIS recall committee, as well as roles district offices play in a recall. She’ll then move on to the steps in a recall and important to-dos such as the drafting of a recall press release. Yablunosky is a former Director of Government Affairs at ConAgra Foods where she advised the company business units on implications of FDA and USDA policy objectives. With a background in food science and nutrition she is well-versed in policy development, product reformulations and promotions, recall preparedness and effective recall management. Kathy Knutson, Ph.D. will speak on Lessons Learned in Food Safety and Applied to Cannabis-infused Edibles. She will discuss GMPs as the foundation of food safety and how HACCP builds on GMPs. Dr. Knutson is a microbiologist and certified lead instructor for Preventive Controls for Qualified Individuals through the Food Safety Preventive Controls Alliance. She consults with companies in meeting FSMA requirements, including manufacturers in the cannabis industry and she educates on issues surrounding cannabis-infused food products for sale in states with medical and recreational use legislation. Food Safety Consortium will take place November 13-15, 2018 in Schaumburg, IL. Susan Crane, Independent Advisor for OTC Drugs and Labeling will be presenting a session at the upcoming Consumer Healthcare Products Association OTC Academy on OTC drug labeling requirements, to include Drug Facts format and content, translating an OTC monograph into a compliant label, as well as covering other regulations that impact OTC drugs, such as child-resistant packaging requirements and Made in USA claims. This year’s OTC Academy will take place in Wilmington, DE October 9-10, 2018. Tara Lin Couch Ph.D., Senior Director for Dietary Supplements and Tobacco Services, will help cannabis firms prepare for cannabis Good Manufacturing Practices (GMPs). While regulations vary from state to state the quality systems under which cannabis products are grown and manufactured have similarities that can begin to pave the way for putting practices and procedures in place to meet compliance expectations, including those of testing and quality control of in-process materials, finished batches and packaged/labeled products. The time is right for the cannabis industry to begin assessing manufacturing processes and implementing sound and effective quality systems in order to begin preparing for GMP regulations. Reserve your seat by clicking here. Have you ever wondered why your foreign suppliers: API, intermediates, food ingredients, etc. are suddenly in trouble with regulatory authorities? Did they just go astray or is your auditing program not performing as designed? Actually, there are several things at play. EAS Independent Consultant, Peter Saxon, will shed some light on reasons FDA inspections can “go south” as well as provide insight on how disappointing results can be managed. His insights will provide an opportunity for companies to consider improvements to their internal audit structure to help minimize regulatory risks. Join us for this webinar by clicking here. Food Standards are an important component of FDA’s oversight, ensuring honesty and fairness to the consumer through requirements that provide for the basic nature of a standardized food to be uniform in terms of its characteristics as well as the ingredients that it must or may contain. But what happens when a newly developed food or production method warrants consideration of a product category outside of the standard? Petitioning to amend a food standard or to create a new one, is a lengthy and complicated process; however, a temporary solution may be available through a specialized category called a Temporary Marketing Permit (TMP’s). Learn more when EAS Independent Consultant, April Kates, discusses this unique marketing option in a webinar on the opportunities and Pitfalls of Temporary Marketing Permits and learn best practices for a successful TMP application. Reserve your seat by clicking here. EAS Independent Consultant, Kathy Knutson, Ph.D. will host a complimentary webinar on the importance of Environmental Monitoring. Don’t wait for FDA, conduct your own swab-a-thon! Join us September 17, 2018, at 1:00 pm Eastern to learn important ways your company can stay ahead of the curve. Register by clicking here. Next, the “Foreign Supplier Verification Program (FSVP)” requires importers to verify that their foreign suppliers of food, food ingredients and food additives imported into the US market are compliant with all parts of the FSMA and its “Preventive Controls for Human Foods (PCHF) and “Preventive Controls for Animal Feeds (PCAF”) regulations. EAS’ two-day intensive FSVP Compliance Seminar will explain in detail FSVP rules, risk exposure by importers as well as US-based food processors using foreign sources of foods, food ingredients and food additives. Join us October 3-4, 2018 for this 1.5-day training. Earlybird rates are in effect through August 14, 2018. EAS Consulting Group will offer its two-day intensive Dietary Supplement GMP seminar September 26-27, 2018 in Dallas. Instructed by EAS Senior Director for Dietary Supplements and Tobacco Services, Tara Lin Couch, Ph.D., EAS Independent Advisor for Quality and Compliance, Robert Fish and back by popular demand, Marc Ullman, Of Counsel at Rivkin Radler, LLP, this next GMP course will include a new section on how quality and compliance applies to the emerging cannabis industry. Early-bird registration rates are in effect through August 5, 2018. In addition, we are pleased to offer members of the American Herbal Products Association (AHPA) an extended early-bird rate of $1,000.00. For more information or to reserve your seat, click here. Are Plant-Based Proteins Milking Dairy? When FDA announced recently that the agency is seeking public comment for standards of identity overhaul that will focus in part on plant-based products that are marketed as “milk” substitutes, manufacturers of those products as well as the consumers who enjoy them were left wondering how this review and any future changes would affect them. Consumers of soy, almond, rice, coconut and other plant-based “milk” enjoy these dairy alternative products for any number of reasons, but in some cases, their consumption decisions are based on incomplete or inaccurate information and may result in a diet deficient in certain nutrients found in dairy milk but not the substitute protein. This issue is of interest to others outside of the US as Canada, the European Union and Codex all have laws, regulations and beverage standards that limit the use of the term “milk” to only beverages where dairy “milk” is the major or characterizing ingredient. There are nearly 300 standards of identity on the books at FDA, and these plant-based proteins which use qualified terms as part of their “milk”, “yogurt” and “cheese” product names aren’t in-fact “milk” as we have come to know it. Based on this technical violation of the standard of identity for “milk” and a concern regarding consumer misunderstanding of the nutritional value of plant-based beverages, FDA has decided to look at the term milk as part of its overall effort of modernizing standards of identity and improving information provided to consumers and their physicians so that the nutritional composition and benefits of products is clear. FDA is currently seeking information on how consumers understand the term “milk” and whether the nutritional differences between dairy-based and plant-based “milk” products is understood. FDA is also trying to understand if the use of the term “milk” in non-dairy products is misleading and if that lack of understanding plays a role in less informed dietary choices. Stakeholder feedback is actively recruited by the agency and, based on initial comments gathered, FDA will provide an additional request for information in late summer or fall targeted more directly towards consumer awareness and understanding of the use of milk and other dairy terms on plant-based alternatives, including a focus on nutritional impact. The agency will use this feedback to refine its policy for these standards of identity and will issue new guidance for industry as well as their compliance and enforcement approach (no timeline is currently established). In addition to gaining an understanding of milk products, the agency is additionally seeking feedback on how the agency should consider food technology, nutritional science, fortification practices and marketing trends for not only dairy but all foods as part of their standards of identity review to gain an understanding of how each may enhance or stymie innovation or nutritional improvements. As manufacturers of foods, standards of identity can at times protect the consumer and food industry from misleading or fraudulent foods, food ingredients, and labels, but they can also hinder efforts at product innovation, use of new ingredients and processing technologies and restriction on modification of the standard to improve nutritional content. Understanding food labels, content, nutritional value and product claims are all critical for consumers to make informed choices today. It is equally important for food manufacturers, who are committed to providing cleaner food labels while trying to deliver more nutritionally sound food into the US marketplace. Regulatory opportunities, headwinds, and challenges will be facing the Agency as it begins to review and potentially revise the current food standards of identity. As the agency seeks comment, now is the time for food firms to provide their input and begin the conversation as to how technology, fortification, and sound science need to be considered in the review and revision process, to the benefit of the consumer, food industry and FDA. As an innovation for a healthier food supply continues to evolve, the ability to clearly communicate an improved and clear message of food content and nutritional value will enhance consumer understanding and allow for more informed choices. Formulating agency feedback can help to effectively lead awareness of those opportunities and challenges. Incorporating sound scientific assessments, food processing technologies and market research on consumer perceptions and trends incorporated into well-written comments can enhance a firm’s position. EAS independent consultants, toxicologists, microbiologists who are experts in dairy, plant-based beverages and FDA food standards of identity and labeling can help you to formulate your position and develop agency comment. Tamika Cathey provides regulatory compliance services pertaining to safety and quality of pharmaceuticals and dietary supplements. She evaluates client compliance readiness, executes mock GMP/FDA audits, performs risk assessments and gap analyses per FDA regulations and creates improvement programs based on findings. Cathey consulted with EAS from 2012-2016 and we are very pleased that she is again able to offer her expertise to our clients. Dr. Dodson is an international consultant for food safety issues and an invited speaker and trainer on the topics of rapid methods for testing and bacterial identification and food safety. She is a member of numerous professional and honor societies and has received a USDA Commendation for Contribution to Public Health. Her areas of specialty include teaching and training in microbiology, laboratory setup, environmental testing, aeromicrobiology, validation testing, consulting, and plant and facility audits. Cindy Beehner has worked as a consultant since 1997, specializing in GMP requirements for food, dietary ingredients, dietary supplements and pharmaceuticals. Ms. Beehner performs due diligence assessments as well as procedures and documentation required for certifications for groups such as Therapeutic Goods Administration (TGA), World Health Organization (WHO), United States Pharmacopeia (USP) and National Food Producers Association (NFPA). She has a Bachelor of Science, Chemistry and Clinical Psychology from Moravian College, Bethlehem, PA.
FDA 483 Responses – Missing the Mark? In recent months, it appears more companies are having difficulties meeting the requirements of FDA Form 483, List of Observations, response. The inspection situation is very stressful and if it ends with the dreaded “483”, it can be positively overwhelming. However, when the initial reaction is over, it’s time to rally the staff and prepare the corrective and preventative action strategy that will be presented in the response within the allotted time frame. It is also critical to understand what is expected of the response letter. The 483 is a list of inspectional observations that is the result of what the inspectors viewed while in your facility. It is a legal document from federal agents performing a law enforcement function where the evidence is the collection of documents and data that the agents evaluated at the company. All of the observations should first be reviewed for accuracy. Hopefully, any discrepancies or misunderstandings were discussed during the closing meeting and resolved, but if they were not found until after the inspectors left the facility, they will need to be addressed in the response. The 483 response is also a legal document so the tenor and exact wording used are critical. It must demonstrate that the company understands the issues, has made the necessary corrective and preventative actions, and that there is documented evidence to verify the latter. Each observation requires a response and that response must describe the associated corrective and preventative actions are taken. It should be thorough and detailed and written to present steps in the order taken. Procedures and related documents prepared and implemented during these actions must also be included. It is not enough to only describe actions, there must be documented evidence of the correction such as photographs, procedures, training records, specific forms, and other types of documentation. Many Warning Letters are issued by the FDA because a company’s response letter did not include evidence of the corrective and preventative actions taken for the FDA to evaluate to determine if the situation was appropriately addressed. Consider three potential categories of actions to be taken for each observation; immediate, short-term and long-term. Think of this from a medical emergency perspective where initial triage occurs to keep the patient’s condition from getting worse, additional short-term actions are needed to stabilize the patient, and then long-term actions may be needed to deal with any underlying problems. A systematic issue will have to be addressed with preventative measures. It is also important to review the observations collectively, in addition to individual, to determine if other underlying systemic issues exist. These too will have to be addressed with corrective and preventative actions. Please note that, unlike an FDA Warning Letter, a response to a 483 is not legally required. However, it is strongly recommended that a 483 response be provided to the FDA within 15 business days. Some observations can be appropriately addressed and the actions concluded within this time frame, but others, particularly systematic issues, may require more time. When that is the case, all of the planned corrective and preventative actions should be described in the initial response, immediate and short-term actions should be taken, and completion dates for long-term items provided. It is important that these proposed dates be aggressive, yet reasonable and obtainable. Monthly updates to the FDA stating the progress made on these long-term items, with supportive documented evidence included, should then follow. This strategy may prevent the FDA from escalating enforcement actions and issue a Warning Letter. Confirmation that the FDA is satisfied with the 483 response will be provided by the issuance of an Establishment Inspection Report (EIR) which states that all of the corrective and preventative actions will be evaluated upon “the next inspection.” The EIR is also a more detailed summary of the inspectional findings and it is wise to use this as an opportunity to further review operations, controlled processes, and the overall quality system. Look at these findings from a systems approach; facilities and equipment, materials, production, packaging and labeling, laboratory controls and, of course, the most important and critical one – the quality incident system. The entirety of the inspection and the inspectional review should also be another piece to the internal audit program, make the experience work to improve compliance and not just an exercise in writing letters to the FDA. For assistance in understanding FDA 483 findings as well as developing an appropriate response and corrective actions contact EAS. First, for those whom we had a chance to meet at the recent Institute for Food Technologists Annual Meeting held in Chicago, I am sure you will agree with me that this year’s event was one of the best. With so many changes at FDA with the implementation of FSMA, many timely topics on Food Defense and more, I am sure everyone in attendance returned to their firms with good ideas worth implementing. The two sessions that EAS moderated, PCHF – Successes and Challenges for FDA and the Food Industry and Food Importing: Green Light Strategies for Compliance with Game-Changing FSVP Requirements were both well attended with lively discussions. We’d like to thank the panelists who joined us – JoAnn Givens from FDA, Jeff Acker from DFA who participated in the PCHF session, Bob Brackett from IIT and EAS Independent Consultant, Susan Moyers, who participated in both PCHF and FSVP sessions and Erika Daniel from our Italian partner Almater who participated in our FSVP session. I am pleased that EAS is presenting the next Dietary Supplement Good Manufacturing Practices seminar in cooperation with the American Herbal Products Association (AHPA). It will include an updated content section on how GMPs have application to the cannabis industry. The early bird rate runs through August 5, 2018, and this rate is extended to members of AHPA for the duration of the registration period. We hope you’ll join us in Dallas, TX on September 26-27, 2018 for this informative and updated seminar! We welcome new consultant Beth Ann Crozier-Dodson, Ph.D., and re-welcome Tamika Cathey and Cindy Beehner, two consultants who have been a part of the EAS family previously and who are increasingly available to EAS clients. Dr. Dodson is an international consultant for food safety issues and an invited speaker and trainer on the topics of rapid methods for testing and bacterial identification and food safety. Tamika Cathey provides regulatory compliance services pertaining to safety and quality of pharmaceuticals and dietary supplements and Cindy Beehner specializes in GMP requirements for food, dietary ingredient, dietary supplements and pharmaceuticals. Cindy is also the author of this month’s issue of the month on how to appropriately respond to FDA 483s. We hope that you enjoy this edition of EAS-e-News! As always feel free to reach out if you have any questions and thank you for your interest in EAS. EAS Independent Advisor Charles Breen is the panel moderator for two technical sessions at IFT – one on the Preventive Controls for Human Foods and another on the Foreign Supplier Verification Program. Esteemed panelists include for PCHF, Joann Givens, Director of the Office of Human and Animal Food Operations-West, Office of Regulatory Affairs at FDA, Robert Brackett, Director of Illinois Institute for Technology and Vice President of Institute for Food Safety and Health, Jeffrey Acker, Vice President of Food Safety and Compliance, Dairy Farmers of America and Susan Moyers, EAS Independent Consultant. Panelists for the FSVP include Susan Moyers, Robert Brackett and Erika Daniel with Almater, an Italian food technology and consulting firm with which EAS partners to assist European companies wishing to export food products to the U.S. If you are attending IFT we invite you to stop by the EAS booth, S322 and attend these two sessions. PCHF – Successes and Challenges for FDA and the Food Industry will take place on Monday, July 16, 2018 at 10:30 am – 12:00 pm; and Food Importing: Green Light Strategies for Compliance with Game-Changing FSVP Requirements will take place Tuesday, July 17, 2018, at 10:30 am – 12:00 pm. Both will be held in room S502AB at the McCormick Place, the 2018 Annual Conference venue. Please contact Allen Sayler at asayler@easconsultinggroup.com to set up an appointment to speak with EAS at the trade show. with an exception for importers of food contact substances who now have an additional two years to comply with the FSVP requirements. FDA provided a decision tree to assist affected firms in their understanding of the details for enforcement discretion of the written assurances provisions. What does all this mean for your business? Plenty – particularly in light of the recent food safety outbreaks of Listeria monocytogenes which illustrate that even when preventive controls are applied, food emergencies can still occur. Managing a safe food supply requires serious vigilance at all times. Unfortunately, even the most diligent will likely see, at some point, some type of food safety event requiring immediate action, whether it is an unsanitary method of transportation, storage or production, worker hygiene, use of contaminated water or a large number of additional factors. As part of the Produce Safety Requirement, you may recall our January 2018 FSMA Perspective which discussed the agricultural water testing and safety requirements. After much industry feedback that the numerical criteria for microbial water quality in the final rule are too complex, FDA issued a proposed rule to extend the compliance dates for the agricultural water requirements for produce other than sprouts. If finalized, the earliest compliance date for most agricultural water provisions would be January 2022 for the largest farms. Once finalized the specific requirements with regards to water testing leave no room for interpretation as to what constitutes a safe supply and FDA will request access to water testing data history for their own assessments of safety. Of course, prior to finalization, agricultural entities would be wise to begin or continue documented monitoring to gain a complete understanding of water quality used for irrigation and worker hygiene in order to provide FDA required data at the time of an inspection. Even though enforcement of FDA’s agricultural water provisions has been pushed back, they should still be considered a suitable benchmark for testing purposes. Any results found to be out-of-specification (OOS) should be retested followed by an assessment and correction of procedures leading to those OOS results. Firms should also take a look at their entire organization’s policies and procedures, including the very important, and required by FSMA, training. Employees must understand what is required of them and why, and it is management’s responsibility to ensure that all required training is conducted in a language and manner that employees understand. This may mean conducting various types of training in a variety of languages. Look closely at operations to assess whether they are meeting the requirements of the Produce Safety Rule. Start thinking: What training do we need? What may we have to adjust in our work processes to meet FDA’s standards? An audit of all practices is a good idea in order to get an accurate picture of how current operating procedures match FSMA requirements allowing for the identification of needed improvements, planning, and execution. Additionally, some buyers require private audits (which may or may not have the same standards as FSMA requirements) so being able to demonstrate results from internal and/or third-party audits or mock-FDA inspections can only enhance one’s demonstration of efforts to meet or exceed standards. In short, the compliance date for the Produce Safety Rule is right around the corner for importers with large business foreign suppliers as well as some small. It is always the right time to assess one’s current status and plan for improvements, though as FSMA continues to take shape and enforcement dates move forward, the urgency has never been greater. 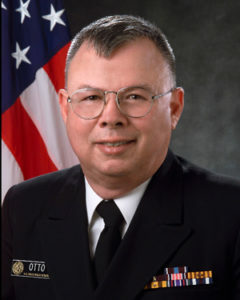 Charles Otto is a former Environmental Health Officer and Deputy Chief at the CDC where he provided guidance on all aspects of environmental health to the CDC Vessel Sanitation Program staff, member cruise lines, shipyards, and other global collaborators for the prevention of environmentally-related illnesses. He has worked at FDA as the Assistant Director in the Division of Cooperative Programs as well as the Retail Food Protection Branch where he developed national Hazard Analysis Critical Control Point (HACCP) implementation strategies for retail food protection, interstate travel programs, milk safety, and shellfish sanitation programs and furnished comprehensive field training on proper interpretation and implementation of the model food code standardization exercises conducted in every region of the U.S.
EAS offers a wealth of regulatory consulting capabilities in all FDA commodity areas, as well as USDA and some state regulatory services as they pertain to food and dietary supplement products. EAS is creating short clips that discuss our capabilities and is posting them on our website. We invite you to learn more about our Product Development and Labeling services, FSMA, food and dietary supplement labeling as well as food additive services through these videos. We’ll be adding additional so stay tuned. Karen Dixon discusses critical points for helping tobacco firms prepare for FDA Inspections in this month’s issue of the Tobacco Reporter, including FDA’s inspection authority and how companies should prepare internally, including a having a detailed inspection plan in place. It is important to note that FDA inspections are not always preannounced, so companies in all industries are encouraged to have written and detailed SOPs as well as ready access to critical information that would be pertinent and requested as part of FDA’s inspection. EAS Independent Consultant Steve DeMuri authored an article in Natural Products Insider on Probiotic health benefits of natural foods and supplements. With many reported health benefits currently being studied, “Probiotics are here to stay and now is the time for companies to conduct new product development to incorporate probiotics into the “tinkering process” that is part of all food technology and product development efforts,” he says. Tara Lin Couch Ph.D., Senior Director for Dietary Supplements and Tobacco Services, will present a webinar on August 6, 2018, at 1:00 pm Eastern to help cannabis firms prepare for cannabis Good Manufacturing Practices (GMPs). Titled “Quality Systems for the Cannabis Industry, Preparing for State GMPs”, she will discuss how GMPs applications to this unique industry cannot be understated. While regulations vary from state to state the quality systems under which cannabis products are grown and manufactured have similarities that can begin to pave the way for putting practices and procedures in place to meet compliance expectations, including those of testing and quality control of in-process materials, finished batches and packaged/labeled products. The time is right for the cannabis industry to begin assessing manufacturing processes and implementing sound and effective quality systems in order to begin preparing for GMP regulations. Stay ahead of the curve, standardize your product quality and be a leader in your industry. Join Tara on August 6, 2018, at 1:00 pm Eastern for this free webinar by clicking here. Have you ever wondered why your foreign suppliers: API, intermediates, food ingredients, etc. are suddenly in trouble with regulatory authorities? Did they just go astray or is your auditing program not performing as designed? Actually, there are several things at play. EAS Independent Consultant, Peter Saxon, will shed some light on reasons FDA inspections can “go south” as well as provide insight on how disappointing results can be managed. Saxon has personally attended 90 FDA inspections of foreign facilities and another 15 inspections by other regulatory agencies (TGA, WHO, EDQM). His insights will provide an opportunity for companies to consider improvements to their internal audit structure to help minimize regulatory risks. Join us August 14, 2018, at 1:00 pm Eastern for a free webinar on Preparing for FDA Inspections where you will learn where most regulatory problems are found by the FDA, how OAI (Other Action Indicated) results are categorized by the FDA and what you can do to avoid these disappointing results. Food Standards are an important component of FDA’s oversight, ensuring honesty and fairness to the consumer through requirements that provide for the basic nature of a standardized food to be uniform in terms of its characteristics as well as the ingredients that it must or may contain. But what happens when a newly developed food or production method warrants consideration of a product category outside of the standard? Petitioning to amend a food standard or to create a new one, is a lengthy and complicated process; however, a temporary solution may be available through a specialized category called a Temporary Marketing Permit (TMP’s). With TMP’s companies with novel standardized food innovations may apply to market test a food product that deviates from the standard of identity for that particular food, providing FDA with data needed to consider a future petition to amend the standard. Join Independent Consultant April Kates, on August 21, 2018, at 1:00 pm for this informative webinar on Opportunities and Pitfalls of Temporary Marketing Permits where you’ll learn best practices for submitting a successful TMP application. Welcome to EAS-e-News, a monthly newsletter produced by EAS Consulting Group and dedicated to FDA regulated industries. We have sad news to share on the passing of Bill Ment who was a long-time friend and consultant to EAS. Please refer to the Who’s Who section of this issue for our tribute to Bill. The Food Industry received a long-awaited answer to the question of how the agency will regulate dietary fiber when, on June 14, two guidance documents on how isolated or synthetic non-digestible carbohydrates relate to dietary fiber declarations were published. As you will read in this month’s Highlights of What’s New at FDA, written by Independent Advisor for Labeling and Claims, Betty Campbell and Independent Consultant and labeling expert, Gisela Leon, for almost two years industry has been in a state of uncertainty regarding at least 26 non-digestible carbohydrates under FDA’s review. Firms are encouraged to determine whether this new guidance affects the dietary fiber declarations of their products and revise labels as needed. Our Issue of the Month article is written by Independent Consultant Charles Otto and discusses ten major updates in the 12th edition of FDA’s Food Code. This Code is the basis for food safety regulation of more than a million restaurants, retail food stores, institutional and other food operations in the US and around the world. We welcome independent consultants Kristen Steel, Philip Scharago, and Beth Ann Crozier-Dodson, Ph.D. Kristen is a regulatory professional with a strong background in compliance and strategic partnerships within healthcare, CPG and foodservice environments. Philip is a pharmaceutical consultant with extensive knowledge of Quality Systems, Risk-Based Auditing, process validation, and equipment qualification for pharmaceutical manufacturing and testing. Beth Ann is an international consultant on food safety issues for industry, academia, and food and diagnostic kit industries. Read more in our Who’s Who section. We have added two new webinars as part of our summer webinar series – Preparing for Foreign FDA Inspections and Opportunities and Pitfalls of Temporary Marketing Permits. We invite you to reserve your seat today! EAS is excited to be exhibiting and speaking at IFT this month – please stop by our booth S322 if you will be in attendance. In addition, EAS is also an invited speaker at the International Association of Food Protection conference. Read more about what’s happening at EAS in EAS-in-Action. I hope you enjoy this issue of EAS-e-News. As always, please feel free to reach out to me with any questions and share this newsletter with your colleagues. Philip Scharago is a pharmaceutical consultant with extensive knowledge of ISO 13485, 14971, QSR GMP 820, ICH, MDD/EU, ICH, CGMP, Quality Systems, Risk-Based Auditing, process validation, and equipment qualification for pharmaceutical manufacturing and testing. He has more than twenty-five years working in the Medical Device and Pharmaceutical Industries in the areas of Quality Assurance and Regulatory Affairs and extensive experience developing and improving quality systems to meet FDA requirements and remediation of FDA-483 observations and Warning Letters. Kristen Steel is a regulatory professional with a strong background in healthcare marketing, compliance and strategic partnerships within healthcare, CPG, and foodservice environments. She works with project and database management, organizational management, FDA/USDA/DSHEA regulatory and labeling requirements, as well as an international framework as it relates to product labeling. Beth Ann Crozier-Dodson, Ph.D., is an international consultant on food safety issues for industry, academia, and food and diagnostic kit industries. Dr. Crozier-Dodson has spoken in, designed and taught customized microbiology/food safety workshops across the globe. She is a member of numerous professional and honor societies and has received a USDA Commendation for Contribution to Public Health. Her areas of specialty include microbiology, laboratory setup, environmental testing, aeromicrobiology, validation testing, consulting, and plant and facility audits. FDA Food Code 12th Edition – What’s New? The FDA Food Code is used as the basis for food safety regulation of more than a million restaurants, retail food stores, institutional and other food operations in the US and around the world. It is updated every two years through a collaborative process with the Conference for Food Protection where all stakeholders have a voice in what is included in the next edition published by FDA. Allen Sayler, Senior Director for Food Consulting Services, in his March column in the EAS-e-News announced the release of the 2017 edition on February 12, 2018. This article will focus on the 10 major changes in this 12th edition since the first modern risk- and the science-based code was issued by FDA in 1993. Twelve earlier editions had been published by FDA and the U.S. Public Health Service since 1934 that were more retail segment-specific guidance, i.e. food service, food store or food vending. FDA Food Code only becomes a regulation when its requirements are adopted by local, state, and federal food programs for their segment of this vast industry. The new provisions also become the de facto standard of prudence for many companies, even before their operations are required by the local regulatory authorities to comply with it. A summary of the 10 major updates in the 2017 edition of the FDA Food Code is provided below. This release also had many less significant changes and numerous editorial and clarification amendments. Required, for the first time, that the Person in Charge of the food establishment be a Certified Food Protection Manager. The program that awards this recognition must be accredited, meaning that it has been evaluated and listed by an accrediting agency, as conforming to national standards for organizations that certify individuals. Added a new duty for the Person in Charge, ensuring employees are routinely monitoring food temperatures in hot and cold holding. Expanded on the changes begun in the 2013 Food Code in emphasizing the importance of nontyphoidal Salmonella (NTS), such as S. enterica serotypes, that cause more than one million domestically acquired foodborne illnesses in the United States each year. Required the use of a single-use glove to cover a bandage, finger cot or finger stall used on the wrist, hand or finger. Required that a written plan be provided for cleanup of these bodily fluid discharges by employees or customers. A very good detailed explanation for the plan elements is provided in Food Code’s Public Health Reasons Annex. Raised the cooking temperature dwell time for foods like comminuted meats requiring a cooking temperature of 68°C (155°F) from 15 seconds to 17 seconds. Lowered the cooking temperature dwell time for foods like poultry requiring a cooking temperature of 74°C (165°F) or above to < 1 second (instantaneous). Added criteria for fish that is reduced oxygen packaged at retail to bear a label indicating that it is to be kept frozen until time of use. When a Hazard Analysis and Critical Control Points plan is required by a jurisdiction for variances including those for specialized processing at retail, more detailed information is required to be submitted for the jurisdictions review and approval. Added requirement for the Regulatory Authority to ensure that authorized representatives, who inspect food establishments or conduct plan reviews for compliance with Food Code, have access to training and continuing education, as needed, to properly identify violations and apply the Food Code. You will see in this month’s FSMA Perspective that employee training is also a requirement of FSMA and documentation of that training should be kept and provided to FDA upon request during an inspection. Allowed the regulatory authority to agree to continue operations during an extended water or electrical outage, if written operational plans have been approved by the regulatory authority. Bill Ment who was a long-time friend and consultant to EAS. Bill had a 34-year career at FDA, where in his last agency role he served as the Laboratory Director in Baltimore, MD, with responsibility for a full range of FDA field lab sample analyses and research studies for imported and domestic products. Following FDA retirement in 1999, he began consulting with AAC Consulting Group and Kendle Regulatory Affairs, from which EAS Consulting Group grew. Thanks to Bill’s expertise and outstanding reputation both at FDA and as a consultant, he was quickly asked to join the ranks of EAS Independent Advisors, overseeing GMP Auditing Services. Bill performed many pharmaceutical, laboratory and dietary supplement audits of API and finished product manufacturers, and helped companies improve their laboratory and QC/QA operations. He was also instrumental in the development of the EAS Dietary Supplement Good Manufacturing Practices seminar, which has become an EAS flagship training program. Most importantly, Bill was a great friend to many at EAS where he often mentored new consultants, helping them to make the transition from industry or FDA to the consulting world. He was an easy-going man of great integrity, with an unbelievable work ethic and he will be truly missed. Please keep Bill’s family in your prayers as they go through this difficult time. Should you wish to make a contribution in Bill’s memory, here is a list of charities with meaning to Bill and his family. This month’s Ask the Expert is answered by EAS Independent Advisor for OTC Drugs and Labeling, Susan Crane. Susan specializes in quality and regulatory compliance for over-the-counter (OTC) and dietary supplement products. She has a thorough knowledge of federal regulations pertaining to the marketing, labeling, and distribution of OTC drugs and dietary supplements. Each month EAS chooses one question sent in by a reader of EAS-e-News. To submit your question, use the Contact Us link on our website. Q: Why is FDA updating the OTC monograph system? Crane: The current OTC monograph system has been in use since the 1970’s and has proven to be a lengthy and cumbersome rule-making process for finalizing, or making changes to the monographs. Several monographs have been in the “Tentative Final” stage for 40 years, while hundreds of active ingredients still lack FDA determination as to their safety and effectiveness. The FDA simply lacks the resources to manage the system as it currently exists. To address the problem, the FDA, in consultation with other stakeholders, worked with Congress to draft legislation. The resulting Over-the-Counter Drug Safety, Innovation, and Reform Act is currently moving through the legislative process with bipartisan support so is expected to pass and be signed into law, hopefully before the mid-term elections in November. EAS is monitoring the legislation and will provide details as they become available. Senior Director for Dietary Supplements and Tobacco Services, Tara Lin Couch, Ph.D. has published an article in Tablets and Capsules magazine on the importance of quality agreements for dietary supplement manufacturers. “The dietary supplement industry, like the pharmaceutical and food industries, relies heavily on contractors and subcontractors. However, no matter who does what along the supply chain, the product owner is ultimately responsible for GMP compliance,” she says. Independent Consultant Celia Schebella discusses tips for designing a cannabis edible in the state of California that meets customer expectations and regulatory requirements in Cannabis Industry Journal. Designing a cannabis food product with GMPs, local regulations, ingredient sourcing and scalability in mind can help companies succeed, she says. Independent Consultant David Blomquist will discuss rapid testing methods for safety and spoilage in the dairy industry at the upcoming International Association of Food Protection’s annual meeting which will take place July 8-10, 2018 in Salt Lake City. IAFP provides an opportunity for professionals to discuss current and emerging food safety issues, the latest science and innovative solutions to new and recurring problems. Before 2016, FDA regulations for nutrition labeling did not define the term “dietary fiber” but in 2016, FDA issued regulation defining dietary fiber as two types of fiber:  non-digestible soluble and insoluble carbohydrates and lignin that are intrinsic and intact in plants; and  isolated or synthetic non-digestible carbohydrates determined by FDA to have acknowledged beneficial physiological effects. The FDA regulation listed 7 ingredients that had been found to have a beneficial physiological effect. On June 14th, 2018, a little over 18 months before the compliance date for the new nutrition labeling, FDA issued two guidance documents regarding how isolated or synthetic non-digestible carbohydrates relate to the dietary fiber declaration. These guidance documents resolve nearly two years of uncertainty for at least 26 non-digestible carbohydrates under FDA review for their potential beneficial physiological effect. FDA stated in one guidance document that the agency had found a beneficial physiological effect for 8 more ingredients and would use enforcement discretion to allow manufacturers to immediately reevaluate their fiber ingredients for inclusion in the dietary fiber declaration. The second document contained the scientific evaluation of data showing a beneficial physiological effect for those 8 ingredients. The agency describes “Mixed plant cell wall fibers” as a large group of fibers that include cellulose, pectin, β-glucan, and/or arabinoxylan. FDA listed several examples of ingredients that include these fiber components, including apple fiber, citrus fiber, pea hull fiber and many others. With the evaluation decisions in the new guidance, the list of 26 non-digestible carbohydrates under FDA evaluation as dietary fiber has now been shortened to 9. The ingredients where no determination has been reached include commonly used fibers such as gum acacia, carboxymethylcellulose, karaya gum, pullulan, xanthan gum and some other starches. With the publication of these new documents, firms are encouraged to verify whether the updated guidance affects the dietary fiber declaration of their products. Nutrition information in recently created Nutrition Facts and Supplement Facts panels might need to be updated. EAS consultants are available to assist in evaluating ingredients in light of the new guidance and revising labels accordingly. FDA is publishing an order to exempt a list of class II devices from premarket notification (510(k)) requirements, subject to certain limitations. This exemption from 510(k), subject to certain limitations, is immediately in effect for the listed class II devices. This exemption will decrease regulatory burdens on the medical device industry and will eliminate private costs and expenditures required to comply with certain Federal regulations. FDA is also amending the codified language for the listed class II devices to reflect this final determination. FDA is publishing this order in accordance with the section of the FD&C Act permitting the exemption of a device from the requirement to submit a 510(k). [6/21/2018] The Food and Drug Administration (FDA or Agency) is announcing the withdrawal of a draft guidance for industry entitled “Statistical Approaches to Evaluate Analytical Similarity,” issued in September 2017. The draft guidance, if finalized as written, was intended to provide advice for sponsors developing biosimilar products regarding the evaluation of analytical similarity between a proposed biosimilar product and the reference product. After considering public comments that the agency received about the draft guidance, the FDA determined it would withdraw the draft guidance as it gives further consideration to the scientific and regulatory issues involved. Comments submitted to the docket addressed a range of issues that could impact the cost and efficiency of biosimilar development, including the number of reference product lots the draft guidance would recommend biosimilar developers sample in their evaluation of high similarity and the statistical methods for this evaluation. The FDA believes that in better addressing these issues in the future, the agency can advance principles that can promote a more efficient pathway for the development of biosimilar products. The agency intends to issue future draft guidance that will reflect state-of-the-art techniques in the evaluation of analytical data to support a demonstration that a proposed biosimilar product is highly similar to a reference product.